Tender and juicy lemon-garlic pork tenderloin stars in this savory and filling sandwich. If you are a Caesar salad lover, this one’s for you! This is a sponsored post written by me on behalf of Hormel Foods, LLC.. All opinions are 100% mine. My kids will confirm that the phrase “go make a sandwich” comes out of my mouth more often than they’d prefer. In my defense, I hear “Mom, I’m hungry” much more than I’d care to as well. Sandwiches are easy, budget friendly and I basically always have all the ingredients on hand for some form of one. But there is much more to the world of sandwiches than peanut butter and jelly and turkey and swiss. Take this Caesar pork tenderloin sandwich for example. It has all the components of a sandwich but blows other lesser sandwich-like beings out of the water with flavor! AND the amount of time it actually takes to make is what really has me sold on this. Let’s make it and I’ll show you how stinkin’ easy it is throw together. 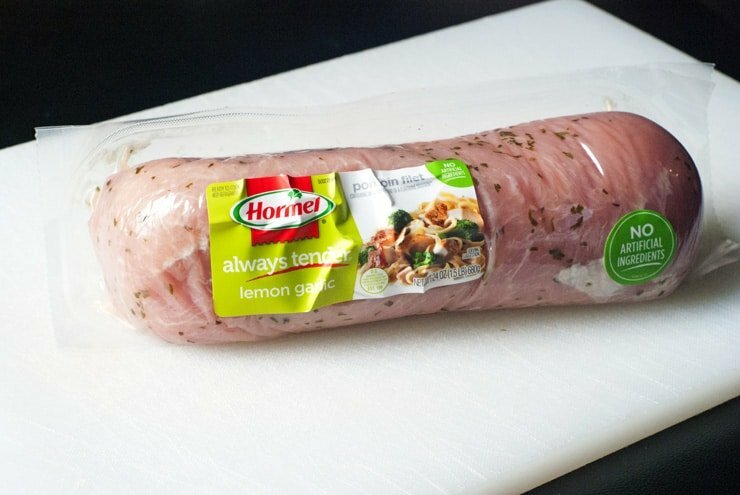 For the meat, I’m using a Hormel ALWAYS TENDER® Lemon Garlic Pork Tenderloin. It’s pre-marinated and ready to just pop into the oven. 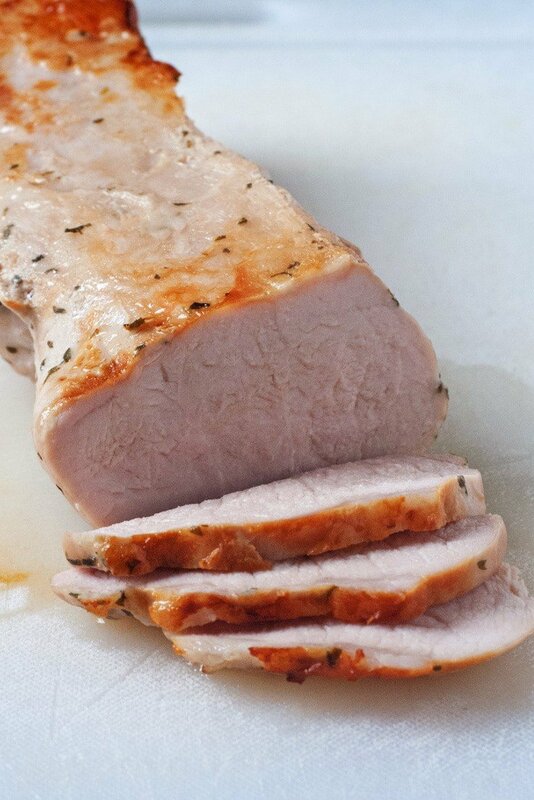 Hormel Foods ALWAYS TENDER® line features pork tenderloins, pork loin filets & pork roasts in a variety of flavors. I like to keep one in my freezer for a quick and easy meal that I don’t have to think about, look up a recipe, and wonder how it’s going to turn out. You literally just have to cut open the package, put it in a baking dish or sheet, and put it in the oven. 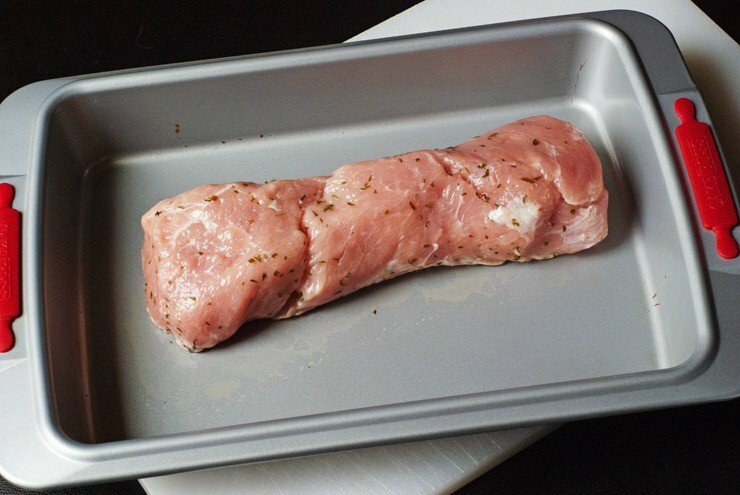 The pork tenderloins take about 40-45 minutes to cook and when they come out they are juicy and ready for whatever you want to throw at them. In this case, I’m just slicing it up for sandwiches. To finish off the sandwich, I used a caesar salad kit from the grocery store that includes chopped romaine, caesar dressing and croutons. You can set the croutons aside to munch on later. 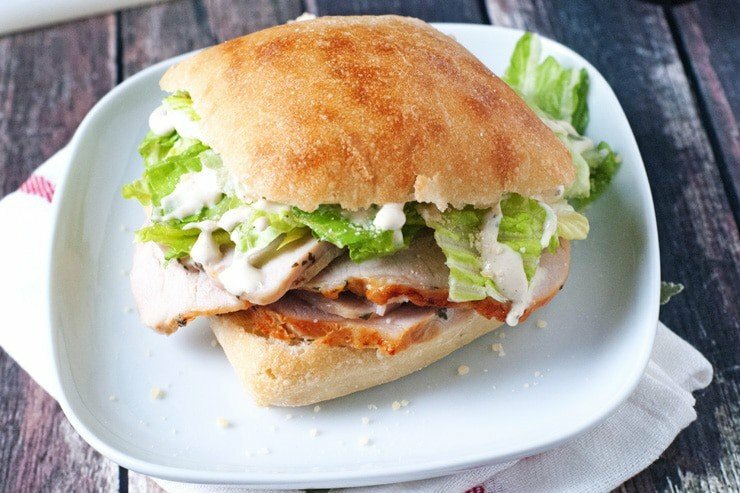 Slice ciabatta rolls in half, stack with the warm pork tenderloin slices and top with the romaine, a sprinkling of the parmesan cheese and a drizzle of the caesar dressing. Consume immediately! 🙂 The meat is tender, juicy and creates the perfect flavor combination with the salad fixings! Hope you’ll try it! Bake pork tenderlion as directed on package. Let rest for 5 minutes after cooking and thinly slice. 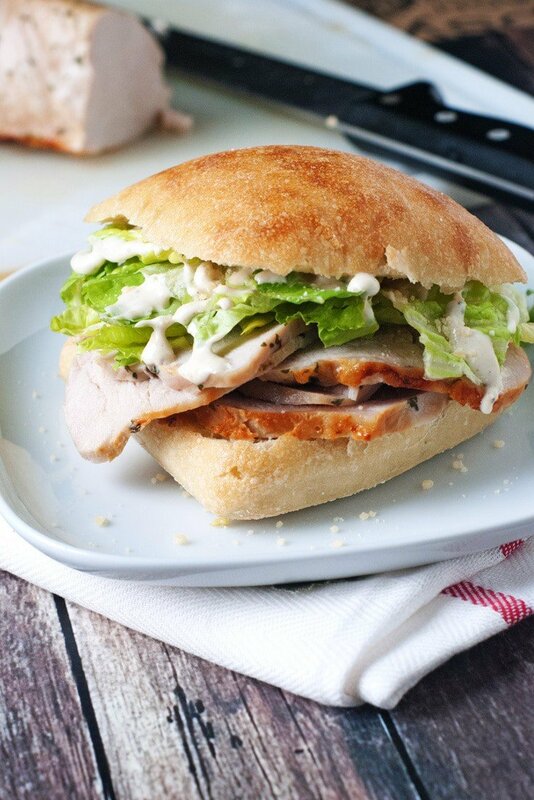 Slice ciabatta rolls and top with the sliced pork, romaine, parmesan cheese, and caesar dressing. Thus sandwich makes me want to go on a picnic!! Great idea!